Hamilton Company introduces ArcAir, a new communication package for its Arc family of intelligent process sensors. Arc Air enables reliable, economical Bluetooth 4.0 wireless connectivity in all environments. 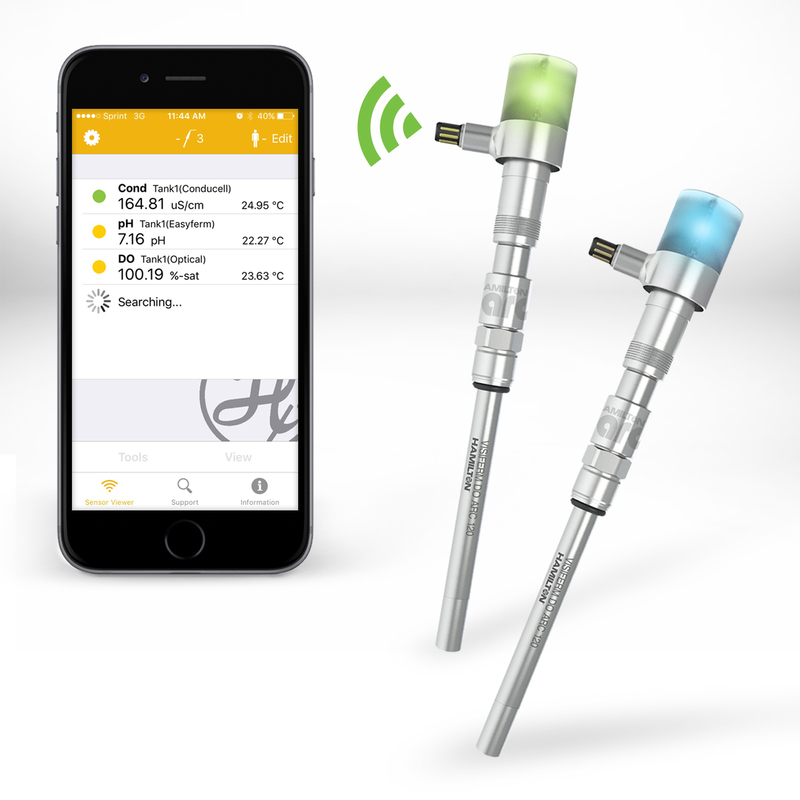 The new Bluetooth capability allows users to view or control Hamilton Arc sensors from a wide range of devices, including smart phones and tablets. ArcAir apps are available online for both Android and iOS platforms in three versions: ArcAir Lite (free), ArcAir Basic and ArcAir Advanced. Arc sensor technology, first introduced in 2010, has changed process measurement with a built-in microprocessor that provides direct digital and analogue communication and eliminates the need for separate transmitters. Arc sensors have improved process measurement accuracy and speed while reducing installation and maintenance costs. The ArcAir mobile application for Arc pH, dissolved oxygen and conductivity measurement can communicate wirelessly with up to 30 individual sensors at the same time. Hamilton also offers a Bluetooth version of its GMP Compliance Package, which works with ArcAir Advanced and provides centralised management of users and validation reports for calibration, verification, configuration and communication within the GMP guidelines for all Arc sensors.